EventBeat were instructed with the incredibly fun task of utilising Twitter in order to connect with a student audience at one of the largest student nightclubs in the UK. 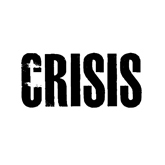 Rock City’s, ‘Crisis’ event has a huge 2,500 student capacity. Twitter is undoubtedly one of the most popular social networks for the student demographic; especially when it comes to socialising and general nightlife. The main aim here was to add a new, previously non-experienced layer of ‘social jesting’ to the night through this popular network to a specific student audience. The Twitter Wall proved immensely popular with students in the nightclub, with many humorous moments shared for everyone to see.